The recent revelations of the Panama Papers confirm a growing trend – it’s getting mighty difficult to hide money from the taxman or Reserve Bank. In the current Social Media and Information age, embarrassing data just keeps slipping out. Aligned to this the Organisation for Economic Cooperation and Development (OECD) has introduced a project whereby there will be an automatic exchange by participating countries of taxpayer information. This information will be supplied to the local Revenue authorities and shared with other Revenue authorities. Over 100 countries have signed up and this data sharing will happen by end September 2017. As most tax havens have agreed to supply information, this will make keeping undisclosed accounts a very risky venture. This makes it more important than ever for anyone needing to regularise their tax or exchange control affairs to understand and consider the proposed new Special Voluntary Disclosure Programme. In 2003, the VDP was introduced. It is estimated that between R3 to R7 billion has been recovered by the authorities. A further VDP was introduced in 2010. Although the VDP gives those who have made disclosures immunity from prosecution, no administrative penalties and much reduced understatement penalties, it has had limited success. The main reason advanced for this was that there was no cut-off in terms of how far back SARS can go to determine a taxpayer’s liability and there was no relief provided for interest levied. In addition, the Reserve Bank has been levying penalties of more than 20% for participants of the VDP. This Reserve Bank penalty plus back taxes has made it unattractive for many taxpayers to enter the VDP. Thus they have either emigrated or sat on these undisclosed accounts. The amount of funds in these offshore accounts is unknown but is substantial. The recent leaking of account information at H.S.B.C. showed South Africans held R28 billion in Swiss accounts. As this is only one bank, this represents a small percentage of actual South African offshore holdings. The Special VDP was announced by Finance Minister Pravin Gordhan in the Budget speech. It will run from 1 October 2016 to 31 March 2017. What is said below relates to the current proposals – we will keep you informed should there be any changes. Who are in the position that the information comes to SARS in terms of an international agreement. The Finance Minister has made several changes to the new programme. Levies by the Reserve Bank will be 5% if the funds are repatriated and 10% if left offshore. An additional 2% levy will be charged if local funds are used to pay the levy. Investment income and interest payable to SARS will only be applied after 1 March 2010. Only 50% of funds used to establish offshore accounts (prior to 1 March 2015) will be included in taxable income. According to SARS, this applies if the funds were not previously taxed, but there is uncertainty as to how this will work in practice. Hopefully this will be clarified when the legislation is finalised. There will be no understatement penalties. Considering the information that will flow to Revenue authorities next year combined with the concessions proposed, the Special VDP looks like a good bet if you need to regularise your tax or exchange control affairs in any way. Seek expert help as this is a complex process and you will only get the benefit of it if your submission is accurate and complete. Business owners should have an exit strategy. Valuing your business on a regular basis tells you how much value you are creating. It also indicates what needs to be done to make your business more competitive and hence more valuable. Firstly, it should be noted that when buying and selling businesses, the actual price agreed will be based on negotiation between the two parties. Each party will have their own valuation and thus the actual value will be the price agreed. Circumstances can dictate the value. For example, selling to avoid insolvency will substantially decrease the valuation. Asset values: Investment houses, capital intensive industries and property companies are often valued based on their assets. An investment house, for example, owns stakes in various entities and it generates its income from these investments. Thus it is valued based on the worth of its investments. Price Earnings Ratio: This is the most common method and the valuation is determined by multiplying after-tax profit by the number of years a buyer is prepared to pay for these profits. An example best illustrates this. A business has profit after tax of R1 million. The valuer considers 7 years appropriate for your business. The value is thus R7 million. How do you determine the number of years? This is obtained from the Stock Exchange which is considered an efficient market. Currently the market trades on just below 22 years of earnings. This number is reduced for smaller entities as they are not as marketable as JSE shares and they carry much higher risk. In today’s market an SME with a good track record can expect to get between 5 to 7years of after-tax profits. Are adjustments made to after-tax profit? Adjustments should be made for one-off events (e.g. the sale of a large asset) and any other items which prevent making the after-tax profit a true reflection of the business’ profit. There are other methods of valuation such as discounted cash flow or entry cost (for new businesses). Do you have good relationships with major stakeholders? Are there some unique features in the business, for example dominant products in their markets? These would be used to increase or decrease the number of years’ earnings to apply. For example, very strong management may convince the valuer to increase the figure from 7 years to 8 years, thus increasing the valuation. Making use of valuations can be an important tool for your business. Your COIDA return of earnings is due by 31 May. It is easy to register (if you haven’t already done so) by email and to complete the return online. COIDA contributions are not too costly and depends on the industry you are in. Why register and do the return? It is another insurance policy for your staff. 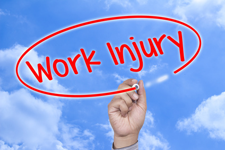 If your employee gets killed or injured or contracts a work-related disease at work, for example, he or she is eligible for compensation. Unless you comply with the Act you cannot get a certificate of good standing. This means you cannot be considered for certain tenders and will be barred from going to mines or construction sites (if this is the industry you are in). Finally, it is not worth exposing yourself to the risk of fines. What happened to the discounts? For those who remember the events of 2013 when discounts of up to 10% were offered for timeous completion and payment, these discounts are now being processed. If this applies to you, the Department of Labour (DOL) will either refund the discount or deduct it from your assessment. What if I haven’t registered? Senior officials have apparently confirmed that they are still not levying interest or penalties. You will be required to complete the current return plus the prior four years of returns. The DOL is making it relatively painless to get yourself into the COIDA system. Surveys indicate that one of the major reasons for small/medium businesses (SMEs) going out of business is cash flow issues. SMEs are the most powerful generator of jobs in the economy and thus their financial wellbeing is extremely important. In South Africa there is no large scale venture capital or private equity industry. Government do offer incentives but they are not well marketed and can be difficult to access. That leaves the major banks and one or two other funders. Loans to medium sized businesses have shown healthy growth over the past few years. These are defined as entities with annual sales in the region of R400 million. Loans to this category grew by 80% from 2008 to 2015. In the small business sector there has been no growth at all. This segment is defined as loans of up to R7.5 million. The total loan book of banks only exceeded April 2008 in October 2015. Why do small businesses find it hard to access loans from banks? Since the global financial crisis banks have become more conservative and risk averse. In this environment, small businesses are the first to suffer. SMEs less than two years old have been particularly hard hit. As they have no meaningful track record, banks are loath to lend to them unless they have good security and a good business case. The pattern shown in the Reserve bank report is that banks like to begin with transactional banking. They thus open current accounts, money market accounts and see how the businesses operate. Once the banks are comfortable with the business they will then consider advancing loans. The problem is that new businesses are cash hungry when they start and often if they get through the first two or more years they can come up with a creative plan. Are there finance houses out there? Yes there are. The one that springs to mind is Business Partners which in 2015 increased lending from R673 million to R1 billion. This type of lending comes at a price – interest rates are higher and very often the finance house takes an equity stake in the business. When and how can you pay back the loan? Remember it can take several months to secure funding so take this into account. The annual employer PAYE reconciliation (EMP501) is due on 31 May. Remember this is a time consuming process so the earlier you submit the less chance of you being exposed to penalties.